I'll tell you the truth: I don't get starstruck easily. Oh, Brad Pitt's walking by? "He's shorter than I thought" will probably be my reaction (no offense, Angie). 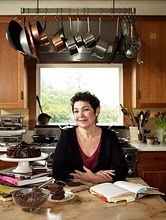 CakeSpy: I am making the black bottom pecan praline bars for your upcoming event with Kim Ricketts book events in Seattle. Not that it's a competition, but I really want mine to disappear first--any tips? Alice Medrich, photographed by Dave LauridsenAlice Medrich: Yes, I think you might do well with Scharffen Berger chocolate. CS: Hey! I was reading through your book acknowledgments and noticed one of your recipe testers was Jenny Richards. Is that my beloved Jenny, from Seattle? AM: Yes! I gave her some things I especially wanted to be reviewed. CS: Soooo....for you, is it chewy, gooey crispy or crunchy? AM: I love, love, love crispy. But I am also a chocolate lover, so I love the gooey brownies too. And I love crunchy. CS: What is the difference between crispy and crunchy? AM: There is a fine line between crispy and crunchy--it was a little tricky to draw it for for the book, but I tried. For me, crispy is thin and makes a certain type of high pitched cracking sound when you bite into it. And crunchy is thick, and it's noisy, but the sound is a lower tone. I consider biscotti to be crunchy, and little thin tuiles, for example, to be crispy. 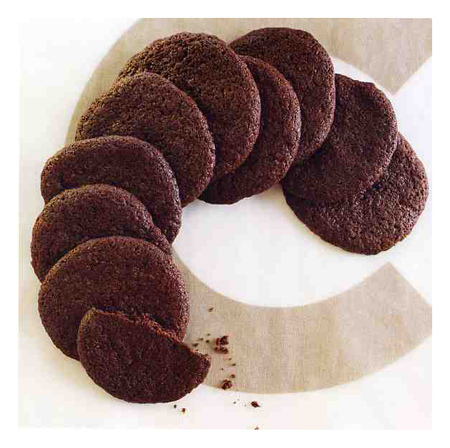 CS: What do cookies mean to you? CS: Why do this type of cookbook, and why now? AM: The reason for doing this book was to create a collection for our current times, which means a collection of cookies that have all the classics we gravitate to--the brownies, the chocolate chip cookies, the snickerdoodles--but that also has some new and modern flavors as well as variations of those cookies, with an emphasis on flavor. I've also felt for a long time that cookies have been left behind. We're doing all of these exciting things with food--salt is being used in new ways, and herbs and spices, not so much in a fusion way but with a sense of adventure. And so I did want to bring a sense of adventure to cookies--you'll see cookies with exotic herbs and spices, or with salt and pepper, or with options to experiment. An example is the meneina, which I discovered via a Facebook friend. I found it so fragrant and yummy, and it was a lot of fun to develop; also the carrot masala macaroons, which I invented, which were very fun. It takes very little effort to make a cookie into an adventure. CS: You've had a flour re-awakening, in a few ways. You've switched from bleached to unbleached flour, as well as started to experiment with gluten-free baking. Tell me more. AM: I did switch over to unbleached flour, because I believe it's a better ingredient, a purer ingredient and flavor and aroma from the oven. I loved working on the gluten free part too, which was great fun because it's fun to experiment with new ingredients. I didn't want to work with preconceived notions, so I went into the kitchen and tried to come to my own conclusions with what worked. CS: Your book has a lot of cookies what include grains, or are low-fat, or gluten-free. How do you get your tasters to get over the "healthy cookie" stigma? AM: I love that question. When I do something that is supposedly "healthy"--whether it's low fat or gluten-free or or whether it's got whole grains, my first concern is "does it taste delicious?". I'm not looking for "pretty good for gluten-free, or low-fat, etc." And it should be delicious enough for you to serve without qualification. In other words, If I make gluten-free cookies and serve them, I will say nothing--unless of course it is of dietary importance to a guest. I may tell them afterward. CS: What quality you detest in a cookie? AM: In a gluten-free cookie, the taste of raw starch; overdone sweetness and fat in others. It has to go together to make it worth my eating. I don't want to eat sugar and fat calories that don't taste good. For me, a cookie shouldn't be primarily sweet--of course it will be sweet, but it should have a flavor that comes forward. CS: Tell me about some of the recipes that were particularly interesting to develop in the book. 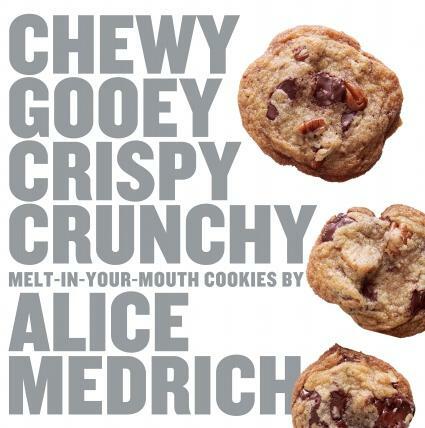 AM: One of the areas I had a lot of fun with in the book is I found a new way of adding flavor to macaroons; I tried peanut butter, and freeze-dried bananas, and they were incredible. It is interesting--you have to have a light hand with the folding, and it does affect hte texture of the meringue, but it makes it more melt-in-your-mouth, and it's just a whole different way with meringues. And they're also naturally gluten-free, so it's great for people who aren't eating wheat. CS: If you could give the bakers of America one piece of advice, what would it be? AM: Get comfortable with measuring by weights--not digging the baking cup in the flour canister to measure. People's measurements are far more varied than you'd think. Get a kitchen scale. They require fewer utensils, less cleanup. I think we would get more consistent results from anything that is baked that has flour--they take away the guesswork about measuring flour correctly--and ultimately we would end up with far better quality. CS: Tell me about an amazing cookie experience--one of pure pleasure. AM: . It happened a while back, and I wrote about it in my last book--the spice-dusted brownies. It was a day when I had brownies in the oven, and while they were baking I was working on another recipe where I was grating nutmeg on a microplane zester. Then the brownies were done, and I took them out and across the room, I started smelling the brownies, and I went to taste a tiny corner with nutmeg all over my fingers, and I got a sort of nose of fragrant nutmeg, and then this pure hit of bitterswet chocolate, and it made me realize that what I wanted to do was serve those brownies with that grated nutmeg just beforeso that they could have that same experience. That layered spicy aroma and the pure chocolate, and you still have the nutmeg in your nose a little biut, but you have that lasting tasting of chocolate in your mouth. And it's different than adding the nutmeg in the brownie--it deconstructs the experience. I do the same with cinnamon. It makes it a full sensory experience. Oh, baby. With that sensuous story of delicious brownies, I'm signing out and getting into the kitchen to bake! 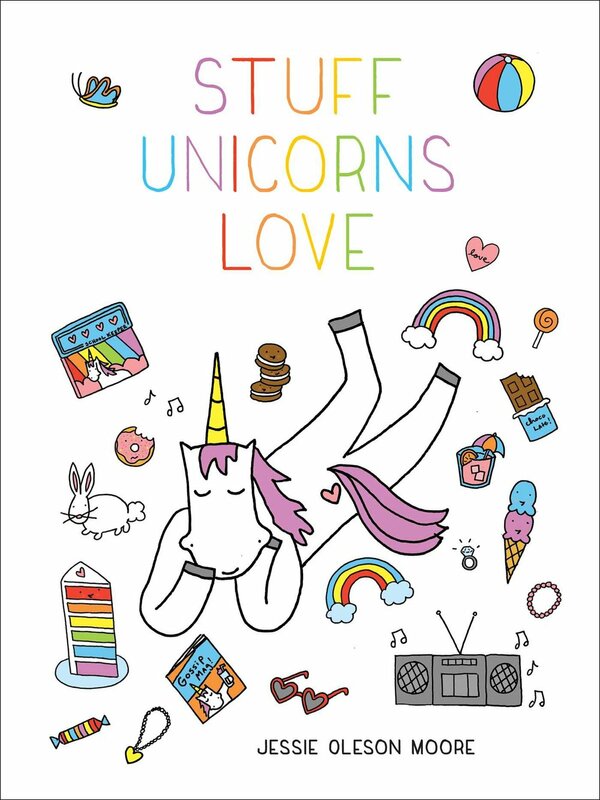 You can buy her book here , and if you're in Seattle, you might still be able to snag a ticket to the event if you're lucky: find out more here.